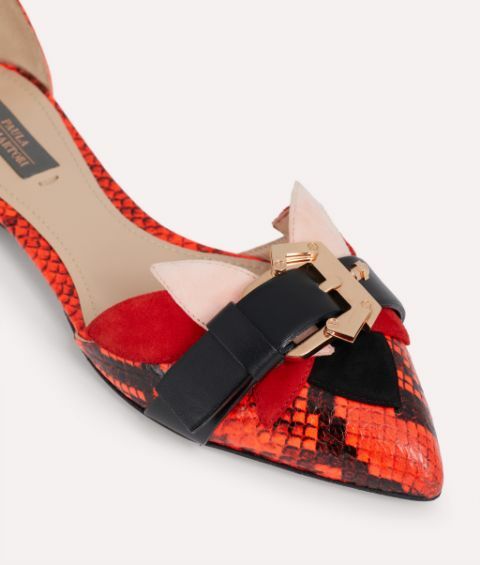 Watch out, the Calla ballerina flat is all grown up for Spring/Summer 2019. 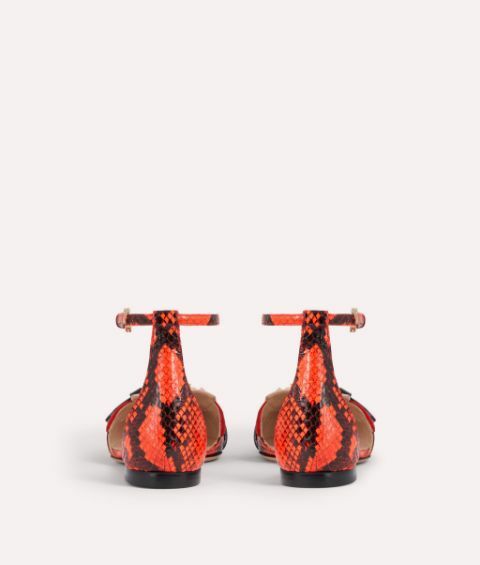 The elegant pointed silhouette is offset by the vibrant orange-red tones of the precious elaphe skin. Multicoloured suede petals detail the vamp, drawing attention to the signature rose gold tone Paula Cademartori buckle.